Well, Keith, if you say it isn’t a baseball card, then it isn’t a card. I’ll take your word on it. You’re the expert. I wouldn’t have a clue. But it is a piece of baseball history. That alone would make me think that you would want to own it. But I can’t blame you for not wanting to spend that much money on something you don’t consider a card. Fascinating article. It amazes me just how much knowledge you possess every time I read one of your blogs. Each time I read one, I think to myself, “How does he know all this stuff?” Mind-boggling. So once again I will say “Well done as always”. This was utterly brilliant. 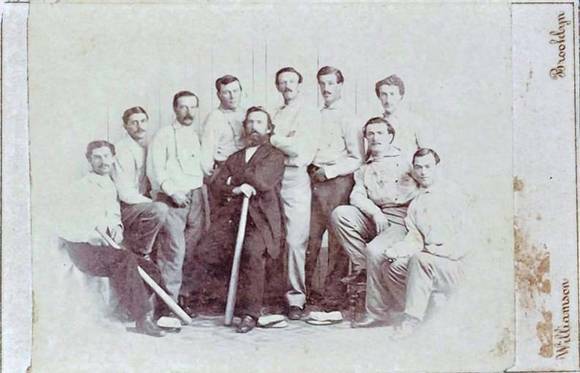 The history behind the beginning of what is now called baseball cards is quite intriguing. To find that its beginnings from a concept of a calling card to grow into such a business today is fascinating to see. BTW, I’ve applied to Topps for a job so this information is of value to me. What I feel is happening here, everyone stating it’s a baseball card, is that this photo on cardboard is the first ‘concept’ of a baseball card. It’s like the draft copy of a future model but not actually the final product that eventually evolved over time. 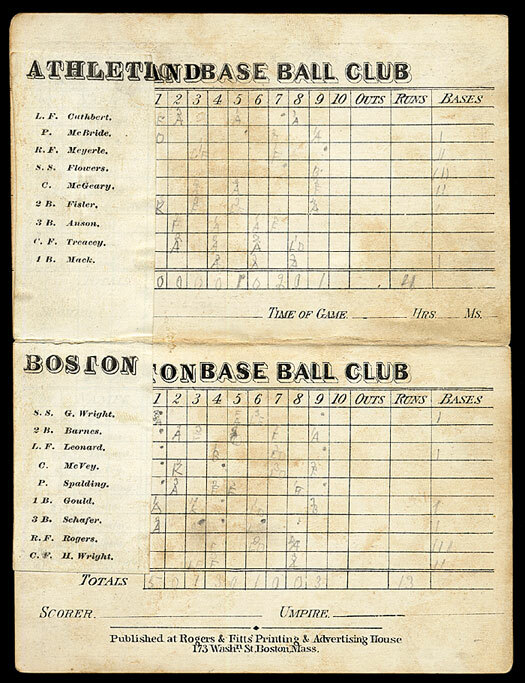 It may be construed as the pilot or blueprint of the baseball card. It has gone through modifications to end up in the current state. 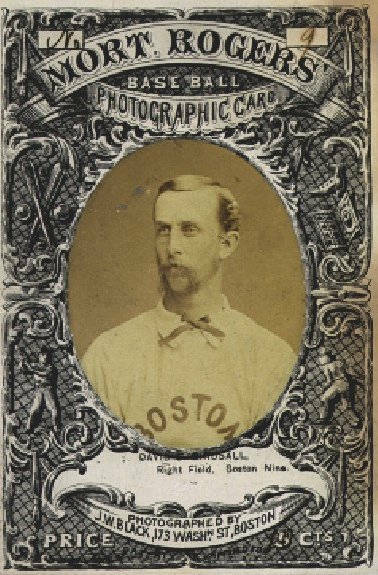 It reminds me of a happenstance that someone created at the time and others began to grow the idea of baseball cards recording pictures of players and finding an advertising avenue with it. It has value and significance as recording history, but $92,000? I could pay off my mortgage with that and still have some to spare! I take it that it is worth the special value to the person who now owns it. History is very important to make note of as much as possible and reflect the persona of the day. It can be very educational to see the roots of something in order to understand the present. Its amazing to see a design that will eventually become a reality. Thank you for this view into history. I started watching Keith on MSNBC in 2004 or 2005 (I can’t remember the exact year). I needed something to watch while eating dinner when there wasn’t a baseball game on. I just liked the format of “Countdown” and Keith’s sense of humor. I remember him spending the last segment doing an “American Idol” story and saying how he hated it– I agreed with him on that too! I couldn’t wait to get home from work and listen to the opening with that techno-Beethoven’s 9th (a tribute to NBC’s early days, I think, if not a sacrilege to Ludwig). Keith got me through the Bush years. But after he wasn’t on MSNBC anymore I stopped watching politics. Then a couple months ago I started watching MSNBC again– and I found it funny that the network that was once called liberal, even though Keith was the only liberal with a show (I don’t count Chris Matthews), has now gone all-out liberal. Keith put that network on the map when it used to be mostly “Lockdown” and “Headliners & Legends.” He got Rachel her show. Now everybody has a show– except Keith. Ed has his heart in the right place but he ain’t quite Keith. His text polls are a joke. “A: do you think Republicans are great? B: do you think Republicans are absolutely awful beyond words”– 99% of you say awful beyond words. I just find it somewhat ironic that the network Keith made relevant and entertaining no longer has Keith. (history– I know I’m being long-winded but the trolls have me throwing caution to the wind.) So what’s my point? I don’t have one. I work for CNN. No, seriously, my point is I have nothing to say about baseball cards so I just want to say how much I miss watching “Countdown” and how MSNBC (while still sort of fun to watch, especially Lawrence who can get on a roll) owes Keith big-time for making them who they are. Meanwhile, Rupert (I miss Keith’s Aussie accent impression) is buying a big chunk of the YES Network and next he’ll buy the Yankees and I’ll become an even bigger fan of the Mets. Politics is where you are needed. Baseball is a hobby. WTF! Baseball talk getting drowned out, once again, by OFF TOPIC B.S. from F—ing TROLLS. GET A LIFE and stay off this blog. 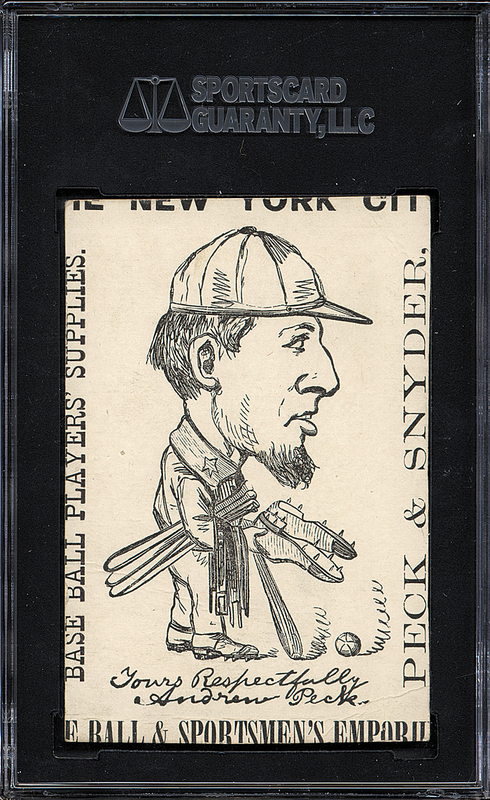 Now that I have gotten that off my chest, I really enjoyed the discussion about the ” Precursor” to Baseball cards. Was very interested when the news broke about it going up for sale, etc. Keith, thank you for the thoroughly thought out examination. 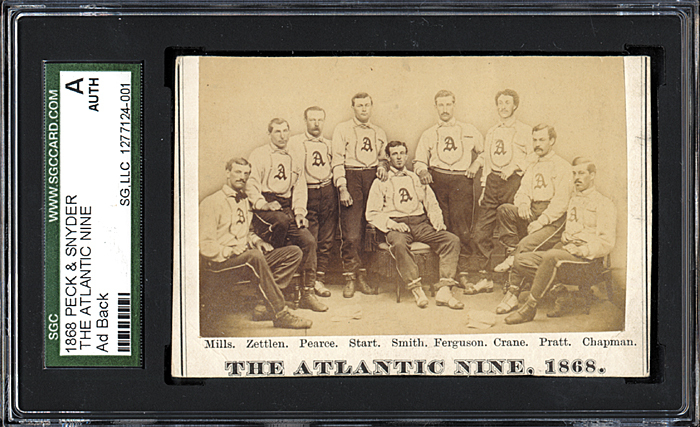 I have to agree it is not an actual baseball card, but very interesting piece of baseball history; hence, my referencing it as a Precursor. Anybody know where I might be able to find page after page of almost completely irrelevant commentary? I’d especially like it if it offered piles of redundant links to Gutfeld videos…a little help here? Seriously, cool and thought-invoking article.